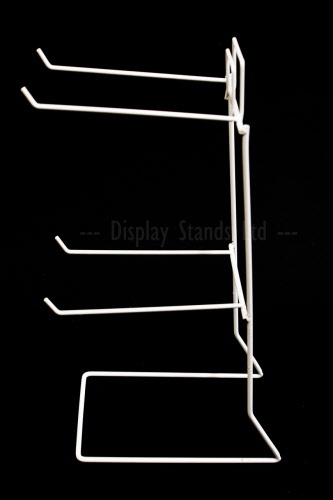 Light duty counter stand with 4 hooks. The horizontal hook pitch is 3.5" (88.9mm) and the vertical hook pitch is 5.5" (139.7mm). The hook length is 5.5" (139.7). the overall height is 292mm. The depth is 165mm and the width is 127mm.